By crushing the competition, Rahm Emanuel is not just mayor—he may be mayor for life. Jonathan Alter reports from the victory party, from the jokes about Rahm's residency flap to the challenges he faces. Former White House Chief of Staff Rahm Emanuel speaks at his election night party Tuesday, Feb. 22, 2011 in Chicago. (Kiichiro Sato / AP Photo). By crushing the competition, Rahm Emanuel is not just mayor—he may be mayor for life. Jonathan Alter reports from the victory party, from the jokes about Rahm’s residency flap to the challenges he faces. Plus, Howard Kurtz on the rise of anti-politicians. Batten down the hatches, Chicago. He’s Da Mare. The *!#&! mayor. When a Chicago lawyer named John Levi last fall introduced Rahm Emanuel to the partners at Sidley Austin (the Chicago firm where a young Barack Obama met Michelle Robinson in the late 1980s), Levi reminded his audience that for Chicagoans, there are only two truly important political jobs in the world—president of the United States and mayor of the city of Chicago. “And not necessarily in that order!” Rahm exclaimed. After crushing the competition with 55 percent of the vote and avoiding a runoff, Emanuel is not just mayor; he may be mayor for life. Richard J. Daley served for 21 years before dying of a heart attack in 1976. When he leaves office this May, Richard M. Daley will have served 22. “Mayor Rahm” is 51 years old and exceptionally fit; the one-time professional-level ballet dancer bikes, swims, and runs like a fiend, then reduces stress with yoga. It’s not unreasonable to expect that he’ll be mayor for 20 years or more. He’s probably thinking more like 40. But Chicago has daunting problems that could keep even this force of nature from succeeding. A $655 million deficit (a tenth of the budget). Stubbornly high crime rates. Failing schools. I’ve been at a lot of Election Night parties in Chicago since I was a kid. This was the first where the winner raised the bar on himself immediately after being elected. He stopped short of repeating his tough-love campaign promise that city workers would have to retire later and contribute more to their health-care plans. Just short. Rahm’s victory speech contained its share of platitudes. He joked to the crowd about the controversy over his residency that almost derailed his campaign. (“You sure know how to make a guy feel at home!” was his opener.) He paid homage to Daley (an “impossible act to follow”) and ladled on the praise of Chicago (”We’re known as the Windy City, but this is the warmest place in America”). I’ve been at a lot of Election Night parties in Chicago since I was a kid. This was the first where the winner raised the bar on himself immediately after being elected. It helped that he raised more than $10 million, half of it in increments of more than $50,000, obtained last fall just before a new Illinois law barred such large contributions. But because much of that money was from out-of-state, from people like Steven Spielberg and Roger Altman, Rahm will arrive in office without big debts to pay powerful local interests. Beyond being rude on occasion, Rahm’s biggest flaw is that he can be too reactive and tactical—governing on the basis of what fire in the news cycle needs to be put out. The disciplined, strategic and programmatic quality of his campaign offers Chicagoans some hope that he has changed enough to allow him to become a historic mayor. 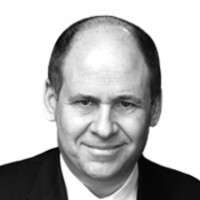 Jonathan Alter is a columnist for Newsweek and a contributing correspondent for NBC News. He is the author of The Promise: President Obama, Year One, a New York Times bestseller out in paperback in January. . Alter is also an originator and author of Newsweek's Conventional Wisdom Watch, which uses up, down and sideways arrows to measure and lampoon the news.